Why I am writing this post, is that I learned something very important yesterday. When I explained to this doctor that I have been following a very healthy diet and was losing weight, he seemed very pleased. He then told me that women who are obese have a higher risk factor for Uterine Cancer. That a high percentage of patients that he had seen who were given this diagnosis were obese. I was shocked. Did it scare me?? You better believe it. Just because I am eating healthy and losing weight now does not put me under an invisible safety net. As women we need to take our health very seriously and know that being fat or obese has serious risks. If you have any kind of abnormal postmenopausal bleeding you need to go to your doctor. It could be nothing or…. Even pre menopausal bleeding between periods. My family has suffered from a long line of problems including endometriosis. When I left his office I got an email from a website that I follow called Food Matters and this is the article that blew me away. 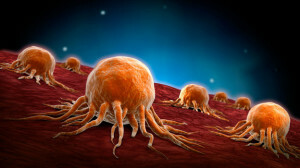 Is Obesity related to Cancer? Is the Universe sending me a strong message or what? How many times have people said, it can’t be anything serious, I will make an appointment next week, that turns into next month. If you catch it early you have a better chance. She appeared on the Today Show to talk about her story. We owe it to ourselvesto be healthy and to be vigilant about the causes of diseases and how to treat them early. I want to be here to watch my 3 grand children grow up and get married. In my private group a 24 year old girl told me she got diagnosed with Uterine Cancer and had to have a radical hysterectomy. Can you imagine? She will never have children of her own, but she recovered and said that is her only regret. She was 300 lbs. Another girl in the group talked about how they found a massive growth but it took months to find it because she is obese and sometimes it is hard to find under those circumstances. A nurse in the group shared her story about overweight patients. It truly has been an eye opener. So much has happened. It is NOT Cancer but something called Simple Hydroplasia. That is a relief but the journey has just started. The OB/GYN immediately insisted on giving me a Depo-Provera Injection. I had no time to think, but I suggested that I should look at Bio Identical Hormones as an alternative. He shot that idea right down. Later that day I read the WARNING on the Patient medical form saying “may cause serious bone loss”. Sure that is what every 60 year old woman wants right? Then this shocking paragraph that I read on the link above. It needs to be used with caution by adolescents and by women with osteoporosis because of its relation to bone loss. So I took to Facebook and found other women who have gone to hell and back with hormonal problems. It lead me to a OB GYN who specializes in Bio Identical Hormones, Hormone testing, Cortisol testing, Thyroid etc. So my journey is still moving forward with a lot of consequences. I have had to go to my family doctor as things got very heavy while away on a business trip. I think it took every bit of Iron with me even though I was taking double doses of liquid iron which was suggested by the BIO doctor.